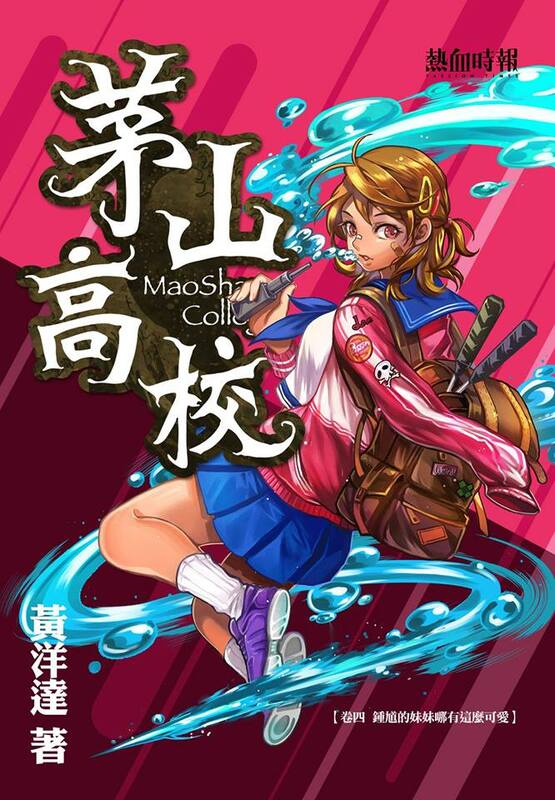 The latest volume cover of MaoShan College(茅山高校) has been released, Zhong Kui’s younger sister seems will become the important character in volume 4. It will be published in Hong Kong book fair 2017. 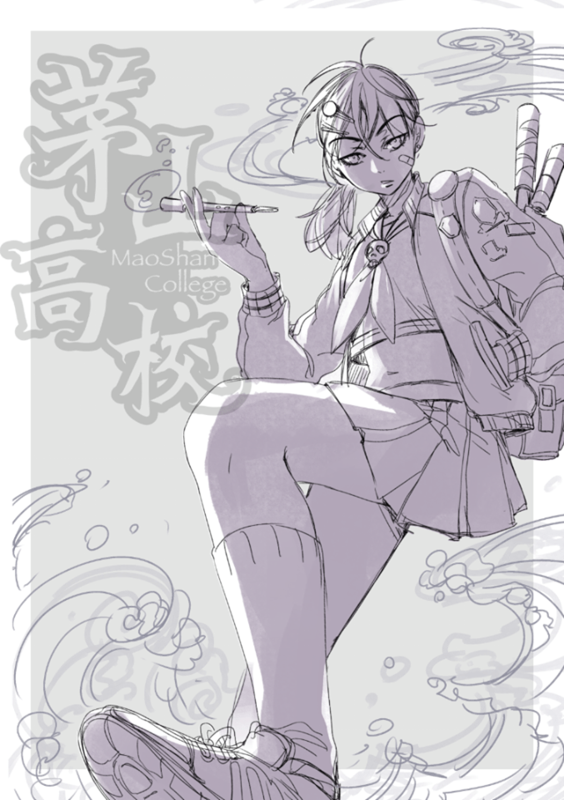 Actually, when I designed this character, I tried few versions. 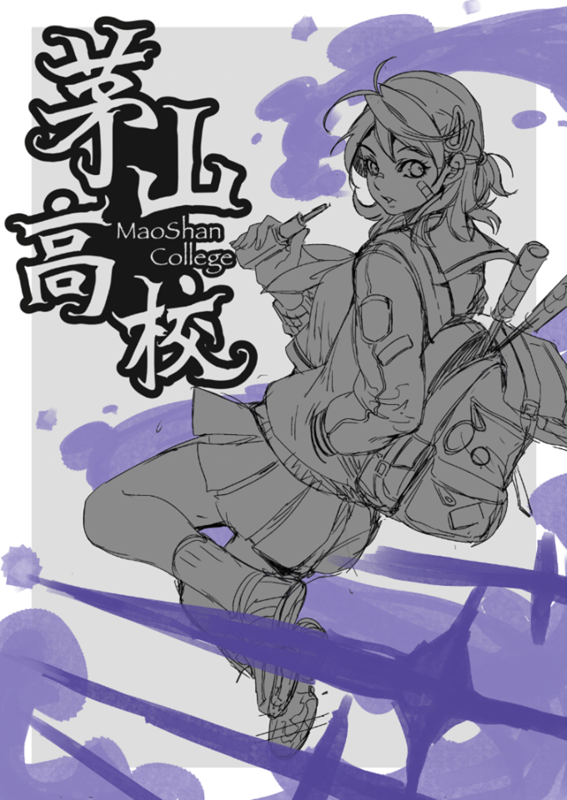 Well, she seems too cool and not enthusiastic enough XDDDD. Then, I change another one. Here is the final one, the temporary background was yellow, still waiting for the cover design. Yeah, here we get the ultimate one. 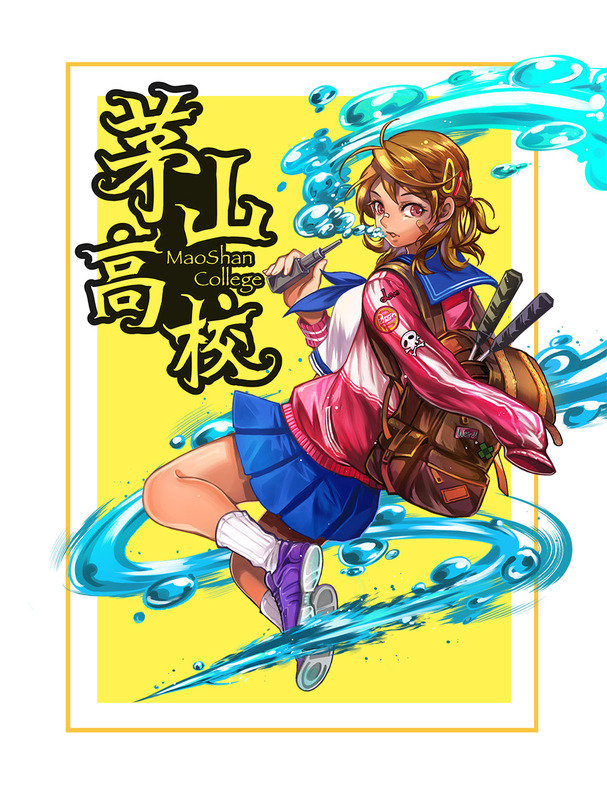 And thank you to Wan Yung, making this interesting 3D fighting animation.